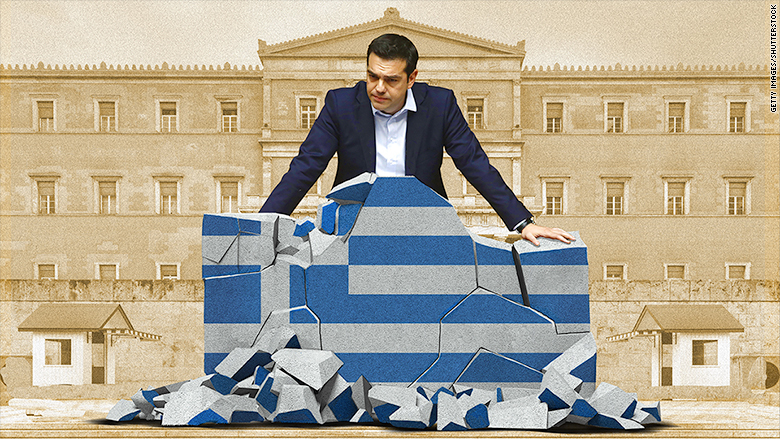 Greek prime minister Alexis Tsipras faces an uncertain future as the country's debt crisis deteriorates. The Greek prime minister is bad for business. In less than six months, the government, led by Alexis Tsipras, has extinguished a budding recovery and put the country on course for deeper economic pain. "Damage has been done," said Berenberg chief economist Holger Schmieding. "To restore confidence is more difficult than to shatter confidence." Greece is desperately short of cash and this week defaulted on a huge debt to its international lenders. Its people will be asked in a referendum on Sunday whether they support a bailout proposal rejected by the government, in a vote that could decide Greece's fate in the eurozone. Fed up with years of painful austerity, Greece brought the left-leaning Syriza party to power in January with hopes of change. Yet the government has presided over a dramatic unraveling of economic confidence, just as years of spending cuts and tough European-imposed reforms had begun to bear fruit. In 2014, a tentative recovery was on track and Greece briefly exited recession. Growth was rebounding at annualized rate of 2.3%. Employment, wages and exports were all ticking up. Its forward-looking economic indicators were holding pace with Spain, another euro-crisis victim but which has roared back to life to become one of Europe's star economies. Greece is now back in recession. Schmieding said if last year's trends had continued, the country would likely be seeing 3% growth this year. The International Monetary Fund also blames the Syriza government for the current mess. In a report published Thursday, the IMF said Greece was getting back on track last summer, when it looked like it would not need any more bailouts. But Syriza's reversal of reforms, and lack of fiscal control, means Greece now needs at least 50 billion euros to stay afloat for the next three years. It will also need debt relief on top of that, the IMF said. The problem was a big confidence shock that has sparked bank withdrawals of around 60 billion euros -- or roughly one-third of Greece's GDP -- since Syriza came to power. Private investment has dried up. The government has run up more arrears, imposing a cash squeeze on the economy. Small- and medium-sized businesses have been particularly hard hit. But Schmieding said things can be turned around. A "yes" vote in Sunday's referendum, coupled with a new government, would have a positive effect on confidence and could pave the way for a gradual economic rebound. Schmieding said that would require Tsipras stepping down, along with outspoken finance minister Yanis Varoufakis, the two highest-profile names in Greece's embattled and inexperienced government. 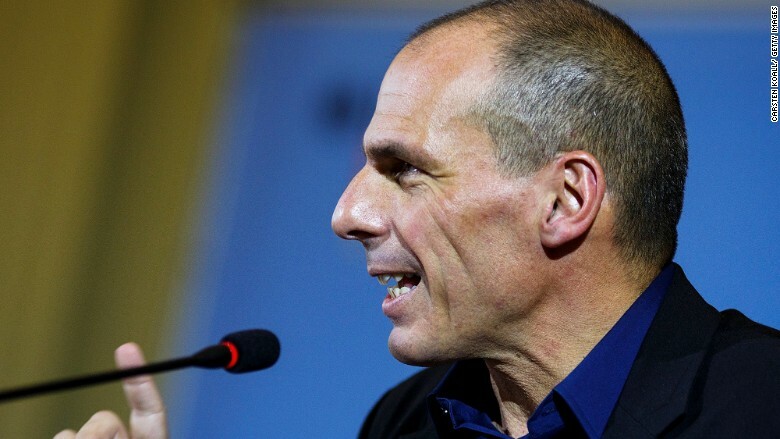 Greek finance minister Yanis Varoufakis. Still, plenty of risks lie ahead. Greece has a 3.5 billion euro ($3.9 billion) payment due to European Central Bank this month, and the country's financial system remains partially frozen. Greece imposed capital controls until after Sunday's vote in a bid to prevent a worsening financial crisis. Daily withdrawal limits are set at 60 euros, or about $67. Oxford Economics chief economist James Nixon said failure to lift capital controls would be an "unmitigated disaster for the Greek economy." "They will inflict a huge amount of damage on the economy. They will destroy an awful lot of private sector activity...right at the start of the tourist season," Nixon said. Economists agree while the financial system could recover from a one-week shut down, more than that will have devastating consequences. "A longer closure of the banks -- for months -- is the stuff that can send you to a depression," Berenberg's Schmieding said.